Please refer to our stock # HeisTsBBpnk when inquiring. 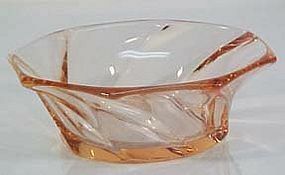 Heisey Twist Berry Bowls in pink. 6 are available, all in excellent condition. Made from 1928-38.